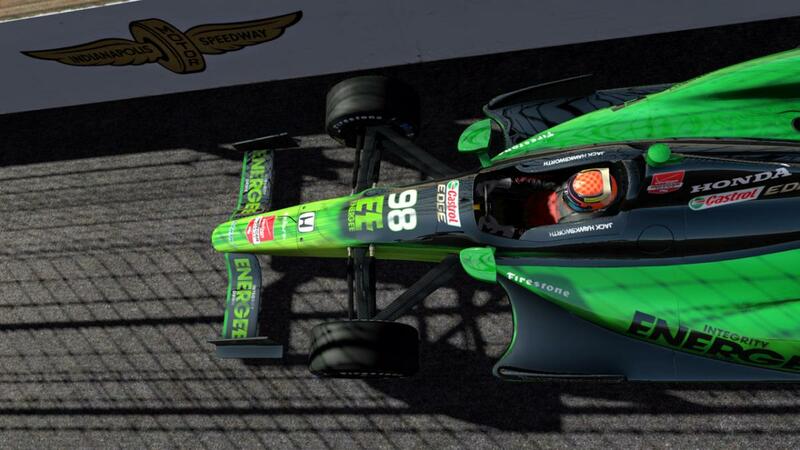 Image Space Incorporated ha rilasciato ieri per rFactor2 una versione aggiornata della Dallara DW12, la vettura protagonista del campionato IndyCar Series. Si tratta di un aggiornamento importante, con diverse modifiche che riguardano sia la fisica sia il comparto grafico. A seguire il changelog completo, mentre il download diretto può essere effettuato QUI. – Fixed fuel tank capacity. – Allowing both compounds during race. – Added ‘weight jacker’. Garage only at this time. – Brand new CPM enabled tyres. – Better ride height ranges and defaults. – Caster range now 4-10 as per real life. – Accurate suspension geometry that varies between oval / road course. – Updated trackconfigsbase.ini to have proper layout names for Mountain Peak and newer tracks. – Minor Turbo error correction. – Recalculated brake system & restricted brake bias range. – Added wheelbase options, the primary purpose of which is to adjust the weight distribution. 119″ is ideal for speedways, 120″ may be ok for road courses. – Increased the weight of the car (was ~missing driver weight). – Slightly more damage sensitive. – Increased CG height according to new data. – More accurate default RC toe angles. – Increase AI’s grip a touch (road course). – Recalc’ed and more accurate anti-roll bar rates, ranges. – Slight increase in mid-range torque and also fuel consumption, and attempted improvement for fuel estimate. – Now using spool differential (locked axle). – Increase in chassis flex. – Min brake ducts now have MUCH less cooling, Max similar. – Brake Duct drag and lift reduced (so penalty is a little lower). – Opponent sound attenuation increased (so other cars are slightly less audible). – Steering ratio corrected (default, options not available yet). – Fix so rotation matches in-game. – Fixed tyre compound visibility in spinner. – Front susp arms corrected.